Encapsulated by breathtaking mountains and situated on the banks of the Fraser River, Lillooet is home to wild adventures, idyllic escapes and thousands of years of rich cultural history. Take in a music festival, scale a frozen waterfall, tour a winery or enjoy a round of golf on a working sheep farm; Lillooet has something for everyone to discover. Home to the St’át’imc Nation for over 8,000 years, this valley was an ideal location for First Nations people to hunt, fish and gather with other nearby communities. Overnight, the history of this ancient nation was rewritten as thousands of miners and prospectors travelled north in search of gold. 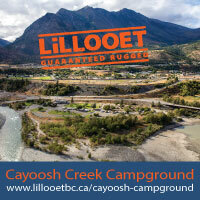 As one of the most important supply locations along the Gold Rush Trail (“Mile 0” on the original Cariboo Wagon Road), Lillooet grew quickly. By 1860, Lillooet’s burgeoning population was nearing 15,000. The city teemed with lively saloons and ‘licensed premises’, shops and dwellings. It wasn’t just gold that attracted newcomers – the town also became the largest exporter of nephrite jade in the world. The building was formerly an Anglican church named St. Mary the Virgin. Rebuilt in 1960, the original St. Mary’s was carried to Lillooet by miners a century earlier. The museum hosts a floor depicting the life and times of the irrepressible co-founder and editor of the local newspaper, ‘Ma’ Murray. It also houses First Nations artefacts, some thousands of years old. The museum and Visitor Centre are open from end of April to October, open Tuesday to Saturday 10:00am – 4:00pm. This enjoyable walking tour includes intriguing historical sites such as the Chinese Rocks, the Bridge of 23 Camels, the Miyazaki Heritage House and the Hangman’s Tree – each with its own fascinating tale. The Lillooet BC & Area Visitor Information Guide includes a map of the walking tour, and is available to download or pick up at the Visitor Centre. Thirty pieces of jade line the town in a project that took six years to complete. The stones have been cut, polished and mounted to reflect the different qualities each face displays. The Jade Walk is a tribute to B.C.’s Official Gemstone, and Lillooet’s jade mining history. Enrich your understanding of the environment around you – with Splitrock Sek’wel’was eco-cultural tours. Join one of our knowledgeable aboriginal guides for a one-hour natural history walk. Get up close as we explore the habitats, plants, and wildlife of the area. Hands-on and interactive! Explore the connection between our culture and the land. 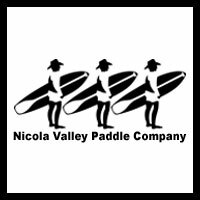 Check out fish and invertebrates up close, learn about pools, riffles and glides, discover riparian and grassland habitats, and then taste test some great berries and juices (in season) and see the work of our local artists and crafters – maybe even make something yourself! Built in the 1880s for the family of gold commissioner Caspar Phair, the house was modelled on the Irish ancestral home of Caspar’s wife, Cerise. In the 1940s, it became the home and working office of Dr. Masajiro Miyazaki. Dr. Miyazaki had worked at a nearby POW camp during World War Two, and became a prominent member of the community, later donating the property to the Village of Lillooet. 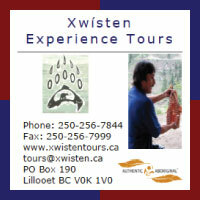 Visitors are invited to discover aspects of the St’át’imc Nation’s vibrant culture and history at Xwísten Experience Tours. The tour includes opportunities to view a replica s7istken (pit house), view the traditional fishing grounds of the St’át’imc people, watch a demonstration of the preservation of salmon through wind drying, and partake in a wonderful BBQ salmon feast. If you’re visiting Lillooet on a Friday, take the Kaoham Shuttle along Seton Lake – considered one of the most stunning rail journeys in the world. Find balance in your mind, body and soul at the Lillooet Spa & Wellness Centre. With a range of therapies and spa treatments on offer, including massage, facials and an infrared sauna, this is the ultimate place to unwind. Named after a fort that the Hudson’s Bay Company began constructing in 1859, the Fort Berens Estate Winery is the first vineyard in Lillooet. Take in the fertile land and mountain backdrop of this young winery, which will harvest its first crop in 2011. The shop currently sells wines carefully composed from Okanagan grapes. Tours are available on request. The Bitterbine Hop Farm is an organic hop farm, one of only a handful across Canada. Established in 2009, the farm is expanding to serve the growing microbrewery industry across British Columbia. Book a tour of the farm for a fun and informative experience that will include breathtaking views of the Fraser Canyon (call Sam Quinlan, phone: (604) 992-4145). Book your tour in advance: available on weekends between May and September. 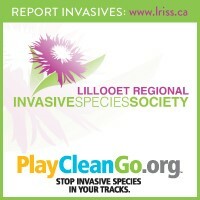 Use a GPS or treasure hunt style clues to locate hidden “caches” in some of Lillooet’s most fascinating locations. A spawning channel and a historic bridge are just a couple of the cache sites waiting to be discovered as part of the Gold Country GeoTourism Program. Where else can you enjoy nine holes of golf in the company of sheep and the occasional bear? Lillooet Golf Course is a unique experience, set on a working farm, and is one of only two sheep meadow golf courses in the world. 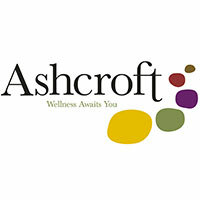 The course is open from May to mid-October. A great location for hiking, rock climbing, swimming, fishing, bird watching and camping, the scenery in Marble Canyon Provincial Park is breathtaking. For more hiking opportunities in the Lillooet area, look for the Canyon to Alpine Hiking Guide in local shops. Pavilion Lake continues to be researched by NASA due to the microbialites. The rivers and lakes around Lillooet are popular with anglers. Contact Fraser River Sturgeon Charters (Phone: (250) 256-7978) or Fraser Canyon Fishing Charters to book an action-packed fishing safari. The rugged terrain around Lillooet gives thrill seekers a run for their money. For heli-hiking and heli-biking experiences, contact CC Helicopters Ltd. Breath taking views are yours to discover in Lillooet! There are many hikes to choose from and each has it’s own unique characteristics and scenic views. Horseshoe Bend, Red Rock, Camelsfoot, Mission Ridge, Seton Ridge and Burkholder Lake Trail are just a few of the many trails to explore in and around the rugged terrain of Lillooet. Pick up a copy of the Canyon to Alpine Lillooet Hiking Guide for details on how to get to these areas plus many more. 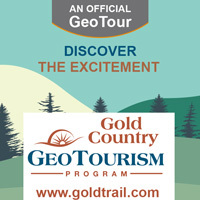 Also see www.goldtrail.com for more information on these particular trails. Ice Climbing. For extreme sports enthusiasts, navigating the surface of a frozen waterfall is an unforgettable experience. The Joffre Glacier Group and the Marble Canyon boast some incredible winter climbs. Beginners can book lessons with the Canada West Mountain School. For a once in a lifetime experience, book a heli-skiing adventure with CC Helicopters Ltd. For skiing and snowmobiling, consider a trip to the South Chilcotin Mountains for some of the region’s best snow. The many lakes in the area are ideal spots for ice fishing. With a curling rink and popular ice arena (phone: (250) 256-7527) that offers public skating in the winter months, you don’t even have to leave the town centre to enjoy some excellent seasonal activities. Lillooet has some excellent, reasonably priced restaurants serving a range of cuisines. Dina’s Place Restaurant offers Greek Cuisine in a Greek style setting, and for great Chinese food there is the Goldpanner Restaurant, The Totem and The Lillooet Inn which also serves Western Fare. 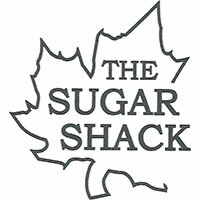 The Cookhouse provides home style cooking and has a cozy atmosphere. D’Oro Coffee Lounge is a wonderful place to relax and take in the scenic mountain range while enjoying a hot beverage. The Rugged Bean Cafe features a charming patio and is a lovely place to enjoy a delicious meal. A&W and Subway offer tasty fast meals to go. The annual Apricot Tsaqwem Festival is held the third week of July. This is a fantastic opportunity to experience Lillooet’s arts and culture. The tsaqwem (Saskatoon berry) and apricots are both abundant in this area, and celebrated in this event along with farm produce, crafters’ goods and drumming from local St’át’imc bands. The festival even includes camel races – watch participants don their costumes and win the coveted prize – or have a go yourself! The Music at the Miyazaki Summer Concert Series celebrates the best of Canadian music. The concerts are free, and held every Friday night at 7p.m., starting July and continuing through August at the Miyazaki Heritage House. If you’re in town on the second weekend in July, don’t miss Lillooet Days, a colourful annual event celebrating this community’s rich culture.